SPECIFICATIONS Display l3 mm (0.5") LCD, 3 1/2 digits. Max. 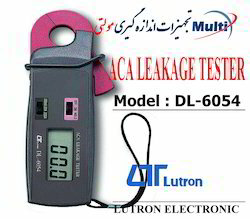 indication 1999.Range Resolution 200 AC mA x 0.1 mA 20 ACA x 0.01 A 200 ACA x 0.1 AData Hold Available to hold the measuring values on the display.Accuracy ±(l.2 % + 5 d)Time Base Quartz crystal, 32768 Hz.Overload Circuit Protection 300 ACA max. (within 1 minute).Zero adjustment Automatic adjustment.Over-input Display shows '1'.Sampling Time Approx. 0.4 second.Operating Temp. 0 °C to 50 °C (32 °F to 122 °F)Operating Humidity Less than 80% RH.Battery 006P DC 9V battery.Power Consumption Approx. DC 1.2 mA.Weight 200 g / 0 .44 LB (including battery).Dimension HWD 180 x 47 x 35 mm. 7.1 x 1.9 x 1.4 inch.Conductor Size 19 mm Dia. max.Accessories Included Operation manual………….1 PC.Test lead (red black)…….1 pair.Carrying case……………… I PC. We specialize in providing trading and supplying an extensive assortment of fluke 115 multi-meters that are specifically designed to measure electronic readings and are available in various specifications. These are fabricated using premium quality raw material and advanced technology by our vendors. Moreover, the offered range is admired by our clients for its various features like compact design, robustness and dependability. Our clients can avail these multi-meters at the most competitive prices. 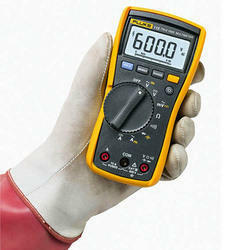 The Fluke 1507 insulation tester helps in measuring the resistance level in electrical and cable industries. These testers include alligator clips, test probes, test lead and remote probe. It calculates automatically polarization index and dielectric absorption ratio that can save time and money. 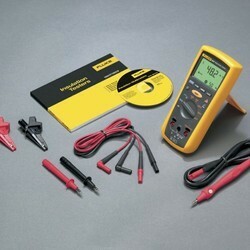 The Fluke 1507 can test voltages 50V, 100V, 250V, 500V and 1000V and test range of 0.01M ohms to 10G ohms. We supply fluke 1507 range that is thoroughly examined and verified on various parameters such as balanced weight, accurate measurement, backlit brightness etc. and then only made available in market. Four set AA alkaline batteries for at least 1000 insulation tests.